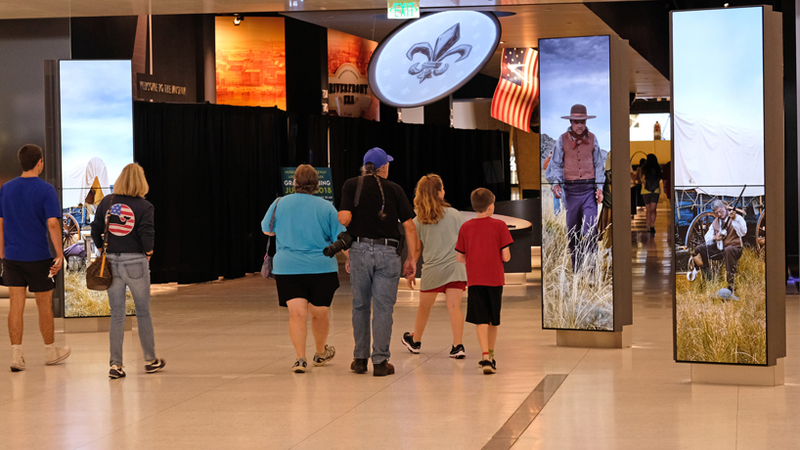 Display cases in the redesigned Gateway Arch Museum, which opened July 3, have asterisks liberally dotting their object descriptions. They refer to some of the 70 rare artifacts borrowed from the private collection of Fred Fausz, University of Missouri–St. Louis emeritus associate professor of history. Fausz started at UMSL in 1991, as the first dean of the Pierre Laclede Honors College, and retired from the Department of History last summer after 26 years of teaching there. As a professor, he used his sizable collection of artifacts to make history come alive. Now, the Arch museum is doing the same with a portion of his treasures, most of them pertaining to the St. Louis fur trade with Native American hunters in the 18th and 19th centuries. Back then, St. Louis was one of the largest fur markets in the world and competed successfully with London and New York well into the 20th century. 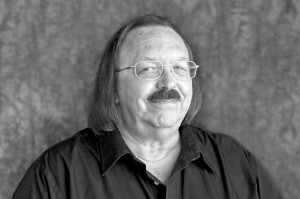 Fred Fausz came to UMSL as the first dean of the Pierre Laclede Honors College in 1991 and taught in the Department of History for 26 years. Fausz was involved in the earliest planning discussions about the museum, which had not been updated since 1976. After one meeting five years ago, Fausz told Moore that he had hundreds of relevant artifacts and was looking for a centralized place in which to display them. Moore thought Fausz’s collection would be a great fit, so he arranged a meeting between Fausz and officials from Haley Sharpe, the firm that was heading the museum redesign. Fausz put together a PowerPoint presentation of photos to show the highlights from his pieces, which led to a face-to-face meeting in a large seminar room in Lucas Hall at UMSL, where Fausz laid out his collection. “After you’re finished viewing these artifacts, let’s go down the hall to my office: That’s where I have the guns,” Fausz recalls saying. The relationship with Moore and the Haley Sharpe designers was a win-win, allowing Fausz’s artifacts to reach and teach millions of museum visitors for free in a spectacular setting. To assemble a comparable collection would have cost an enormous amount, if similar artifacts could be found. The Fausz collection in the Arch Museum includes all manner of trade goods that early St. Louisans used to purchase furs from Native Americans. 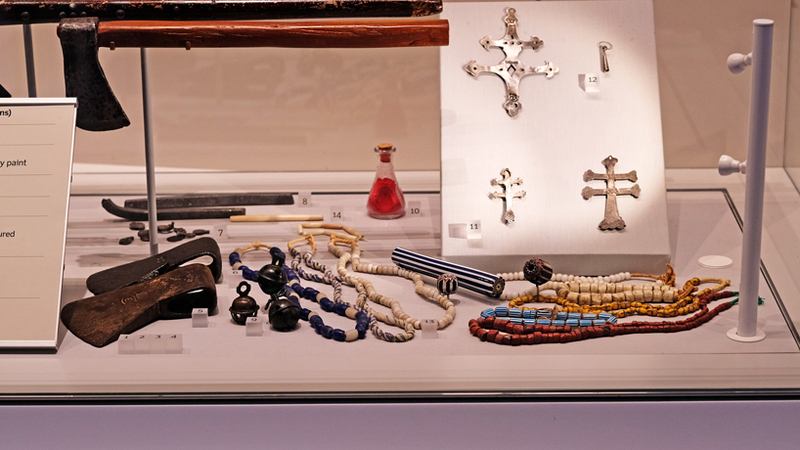 They include items of metal, cloth and glass: ax heads, tomahawks, knives, a musket, Italian beads and beaver-shaped crosses made out of silver. A large case is devoted to the trade in beaver pelts and the popular top hats made from that animal. 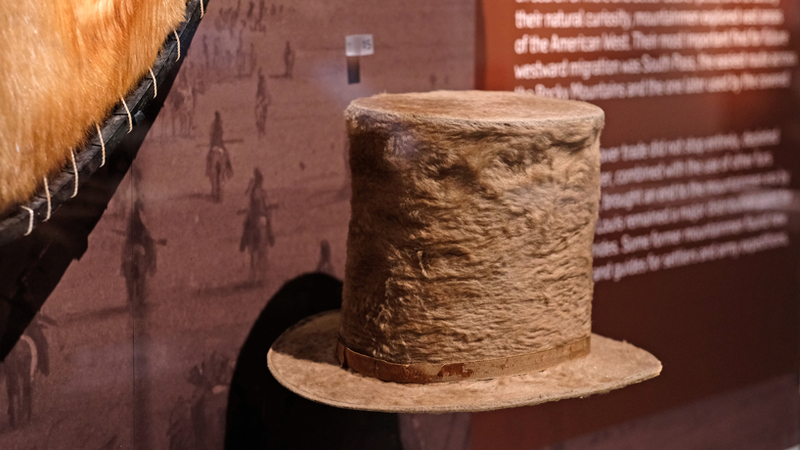 A hat made of beaver fur from the 1850s is one of the prized pieces among Fred Fausz’s collection at the Arch Museum. Fausz’s exhibited beaver hat, with an existing label identifying the Philadelphia dealer who sold it, dates to the mid-1850s. He bought it on eBay for $79, as the only bidder, since he said even antique dealers confuse real beaver hats with the shiny black top hats made of silk. Moore and Fausz agree that the beaver hat is probably the most impressive artifact in the collection. When Fausz was starting his career as a history professor at St. Mary’s College of Maryland in the late 1970s, his first collectible was an original Plains Indian 19th-century knife, which is not part of the Arch Museum collection. Colonists traded items such as these to Native Americans in exchange for furs. Almost all of the artifacts in this case came from Fred Fausz’s collection. Less gory is Fausz’s beautiful Mississippian clay pot, which dates to the 13th century and is showcased in the museum. Aside from using them in his UMSL courses, Fausz would take his artifacts on the road, giving public lectures around the state that were funded by the Missouri Humanities Council and federally funded talks on the Lewis and Clark Expedition in Missouri, Iowa, Kansas, Kentucky, Nebraska and Oklahoma. “In the long run, when my days of giving so many lectures were over, I thought, ‘What am I going to do with all this stuff?’” Fausz said. Actually, Fausz’s wife, Jeanette, director of exhibitions and collections at the Saint Louis Art Museum, said that first and most consistently. “We say we have to downsize sooner or later,” Fausz said. The portion of Fausz’s collection in the new Arch Museum will remain there for at least the next 10 years. Moore has also told Fausz that he might pick out even more pieces from the 200 or more objects that remain in Fausz’s possession. That is fine with Fausz.